The International Society of Biomechanics in Sports has recognized an Indiana State University professor as a Fellow of the society. Al Finch, professor of kinesiology, recreation and sport, received the title during the society's recent 30th annual conference in Melbourne, Australia. He garnered the award in recognition of substantial scholarly and service contributions to the society and to sports biomechanics. "Being selected as a Fellow of the International Society of Biomechanics in Sports represents a really special event for me in my biomechanics career at ISU," Finch said. 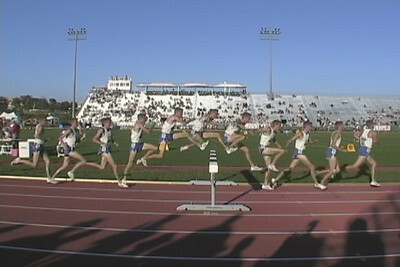 "This distinction would not have be possible without the continued support of my family during my national/international travel, Indiana State University's administration, the physical education department, the College of Nursing, Health and Human Services, ISU track and field coordinator John McNichols, who had served as the coordinator of the USA Track and Field Elite Hurdle program, the multitude of bright graduate exercise science students that I have had the privilege to teach and conduct research with, and the continued support and technical inspiration for the ISU biomechanics laboratory provided by Dr. Gideon Ariel." A member of the international society since 1984, Finch and Ariel, former chairman of the U.S. Olympic Biomechanical Committee and founder of Ariel Dynamics in San Diego, were among the first researchers in the world to upload biomechanical research quality competition digital images on the Internet. Finch has presented 23 of his 99 research papers at ISBS organization symposia, has authored or co-authored 30 sport biomechanics papers in peer-reviewed scientific journals in addition to another 22 published articles on other research topics and has been active on the society's Scientific Review Board for several years. 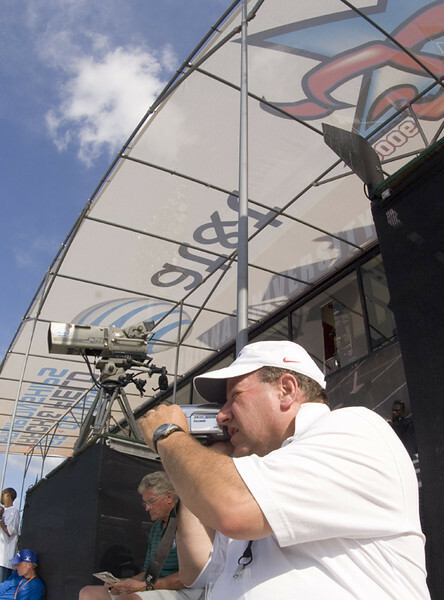 He served as research biomechanist for USA Track and Field's Elite Hurdle program from 1999-2008, during which he was responsible for videotaping national championships annually as well as the 2000, 2004 and 2008 U.S. Olympic Trials and filming the 1996 Atlanta Olympics. He was also research biomechanist for the 2005 NCAA Cross Country Championships and the 1982 U.S. National Sports Festival in Indianapolis. Finch serves as a biomechanical research consultant on the advisory board for the Brain Types Institute in Missouri, and the Mountain West Baseball Academy of Utah for the elite baseball player identification project. The society includes more than 500 biomechanists from around the world. Finch was among three individuals the society recognized as 2012 Fellows. Rafael Bahamonde, professor and chair of the department of kinesiology in Indiana University's School of Physical Education and Tourism Management, and himself a society Fellow, nominated Finch for the award. Bahamonde was Finch's first biomechanics student and credits his mentorship and encouragement for his decision to pursue a career in biomechanics. "Dr. Finch has been one of the most innovative and versatile teachers I ever had; his knowledge of biomechanics, computers, electronics and other related fields are outstanding," Bahamonde wrote earlier this year in supporting Finch's successful nomination for another honor, ISU's Theodore Dreiser Research and Creativity Award. "I feel honored and proud to have the opportunity to work with Dr. Al Finch. He truly represents the ideal scholar, an excellent teacher and researcher." Photo: http://isuphoto.smugmug.com/Other/Media-Services/Alfred-Finch/i-j3BcGJW/0/L/2006finchvideoHPCtrackfield011-L.jpg - In this 2006 photo, Al Finch, professor of kinesiology, recreation and sport at Indiana State University, shoots video at the U.S. Track and Field National Championships. 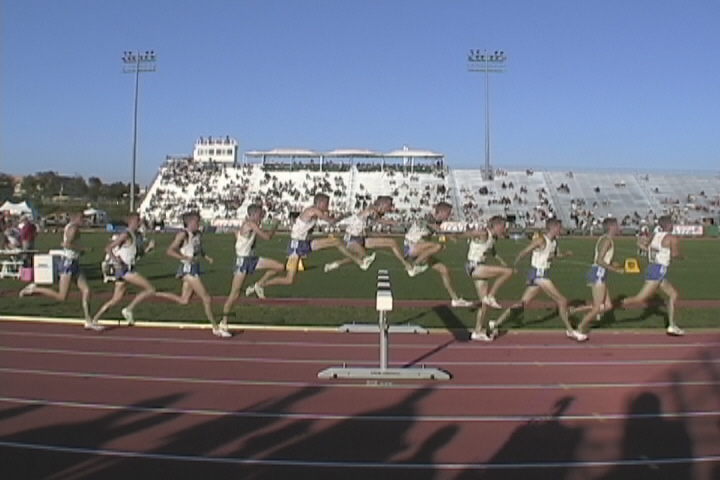 Photo: http://isuphoto.smugmug.com/Other/Media-Services/Alfred-Finch/i-GxJ5scf/0/L/Fife-Steeple-Finch-analyzed-L.jpg - Athletes use biomechanics analysis such as this of former ISU student-athlete Jordan Fife, two-time All-American in the men's 3,000-meter steeplechase, to improve their performance. Photo: http://isuphoto.smugmug.com/Other/Media-Services/Alfred-Finch/i-f6LFt4M/0/L/2006finchvideoHPCtrackfield103-L.jpg - Al Finch, professor of kinesiology, recreation and sport at Indiana State University, reviews a biomechanical analysis with student-athletes and coaches. The ISU professor of kinesiology, recreation and sport, received the title during the society's recent 30th annual conference in recognition of substantial scholarly and service contributions.